Were you arrested for DUI out of state? 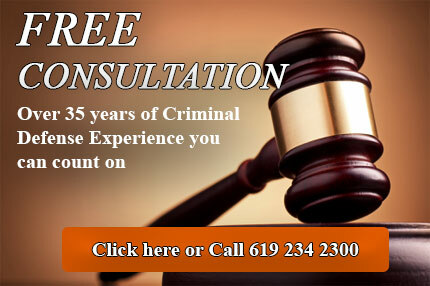 Our San Diego DUI Attorneys can Help. San Diego can be a popular place to visit all year-round. Many people come to San Diego to enjoy the family fun, parks, beaches, shopping and casinos. Many of these activities involve a small amount of alcohol. California is extremely hard on those convicted of DUI offenses, and these penalties apply no matter what state you are from. You need to enlist the help of an experienced lawyer who can aggressively defend these charges. The alternative is: a permanent mark on your record, loss of driving privileges for an extended period, and hefty fines. Just because California is not your home, it does not mean that you will escape penalties in your home state. Speak with our skilled team at The Law Offices of Top Criminal Defense Law Firms, APLC to learn about your best course of action. After the arrest, your license will be automatically suspended. The information regarding your DUI arrest will be sent to your home state, where you will face the suspension of your license, based on California law. Our legal team can immediately take action to fight to assist you in avoiding the loss of your right to operate a vehicle. The compact between states makes it impossible to avoid penalties simply by ignoring or failing to properly defend your case. Let our defense team fight for you! If you are seeking to eliminate the penalties brought against you for an out of state DUI, or would like to get the charges dropped, speak with our attorneys. We have helped many clients avoid penalties in even the most complex DUI cases. With over 21 years of combined experience, we are a great benefit to anyone facing these charges. At The Law Offices of Top Criminal Defense Law Firms, APLC, we are dedicated to helping clients through the DUI process successfully and with little to no negative impact on their lives. Out of state residents face the difficulty of making court appearances and we can represent you in court and help you to avoid multiple trips to the state. Do not hesitate to call us today if you have recently been arrested for drunk driving in San Diego County and are a resident of another state. Contact The Law Offices of Top Criminal Defense Law Firms, APLC to schedule your free initial consultation!